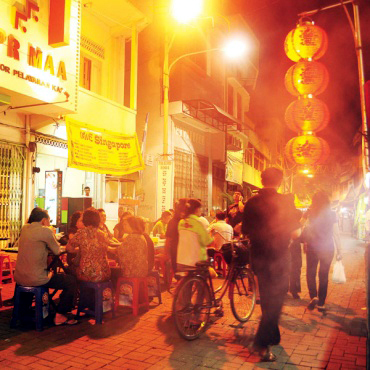 Semarang has a long history with the Chinese immigrants who settled more than a hundred years ago. Chinatown named Kampung Semawis present in North Semarang, which used to be a part of the port of Semarang. 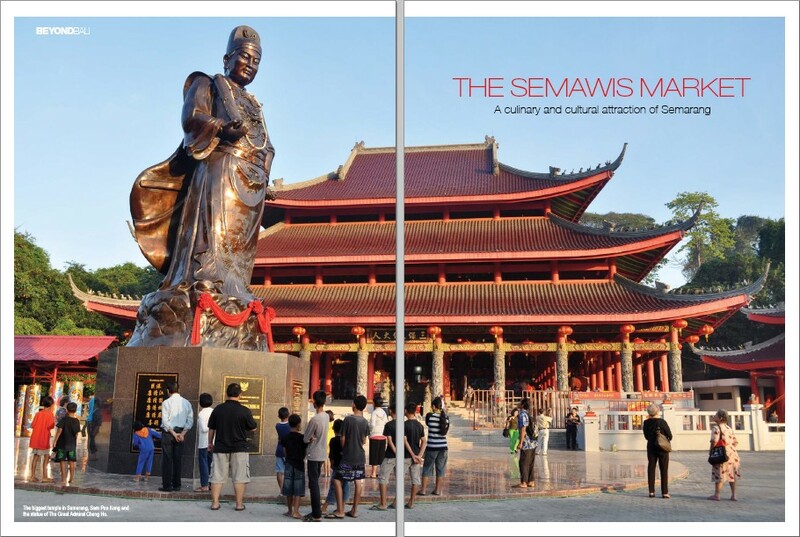 To this day, Chinese people still keep their old traditions, and Semawis is the most appropriate place to see the culture. Dwi Putri describe Semawis very well. Her article is published by Bali & Beyond Magazine January 2012 issue. 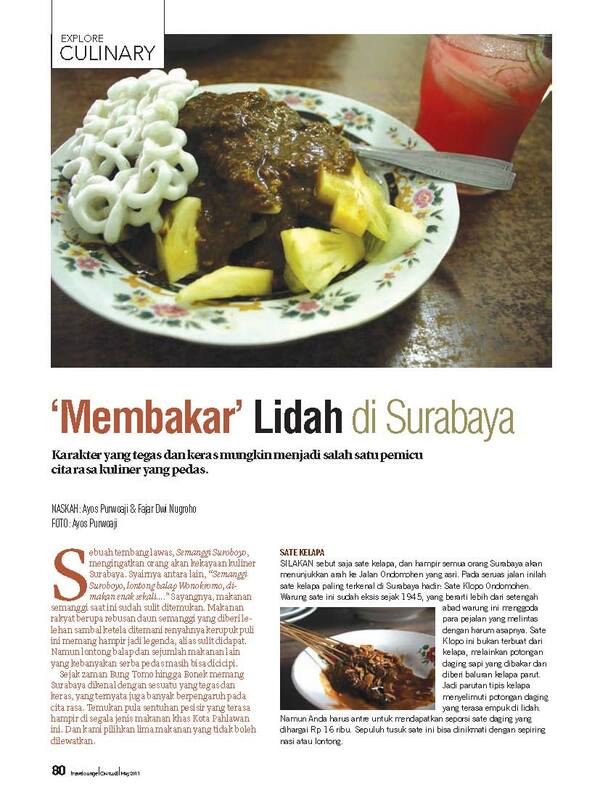 Ayos Purwoaji and Fajar Dwinugroho wrote about some famous traditional culinary in Surabaya. Sate Ondomohen, Sego Bebek, Tahu Campur, Lontong Balap, Rujak Cingur are included in the list of food that should be try while spending holiday in Surabaya. Spicy, hot and bit salty are the characteristic of those culinary. To be a perfect traveler, better you try the local taste. 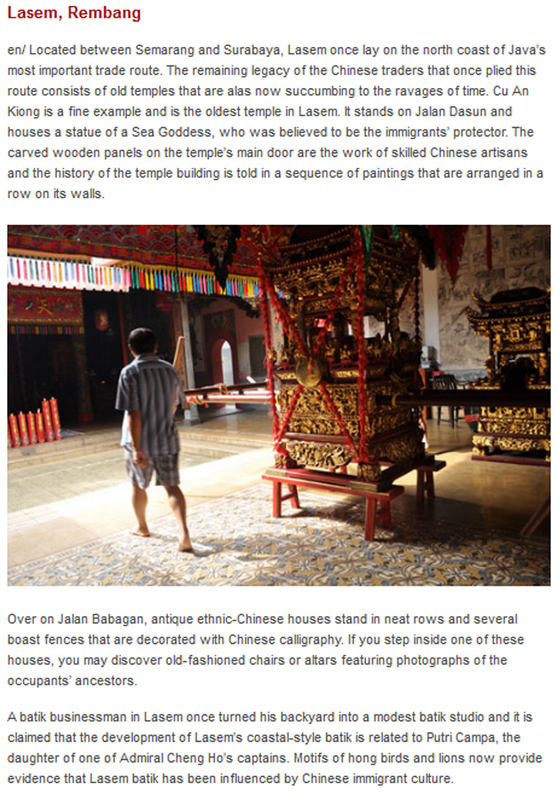 This article is published on Travelounge Magazine 2011, May edition. The situation along the road of Gang Warung on the weekend is very different from the usual weekday. While the sun is about to set, some of the shops along the road start to close while some small warungs are opening to take over the crowd for the rest of the weekend. 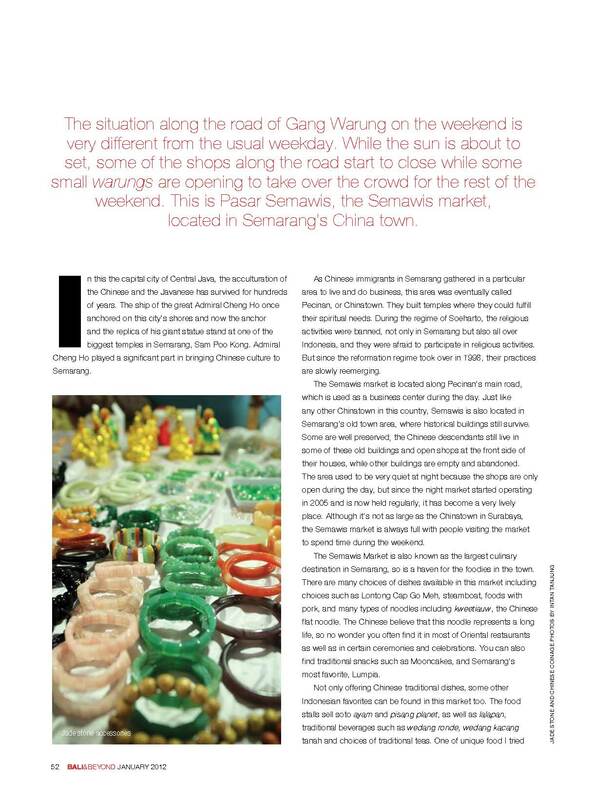 This is Dwi Putri Ratnasari report for Pasar Semawis, the Semawis market, located in Semarang’s China town. 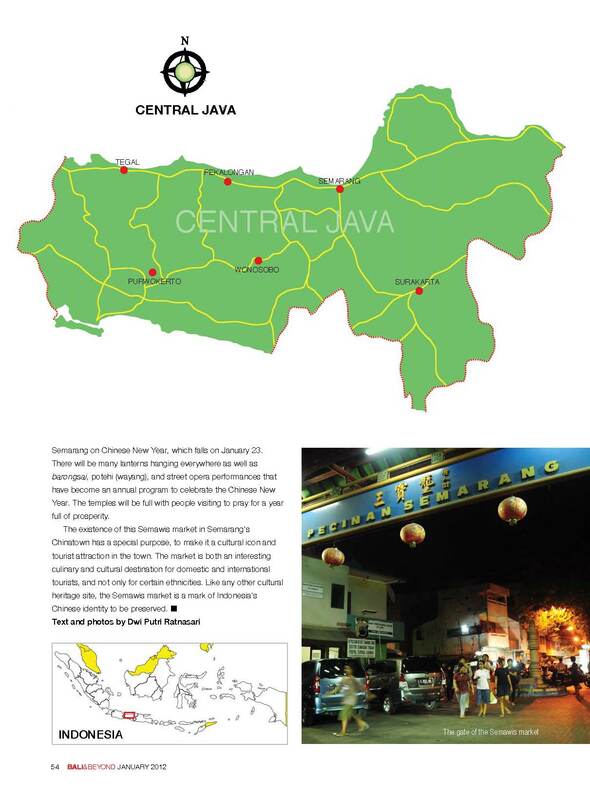 In this the capital city of Central Java, the acculturation of the Chinese and the Javanese has survived for hundreds of years. The ship of the great Admiral Cheng Ho once anchored on this city’s shores and now the anchor and the replica of his giant statue stand at one of the biggest temples in Semarang, Sam Poo Kong. 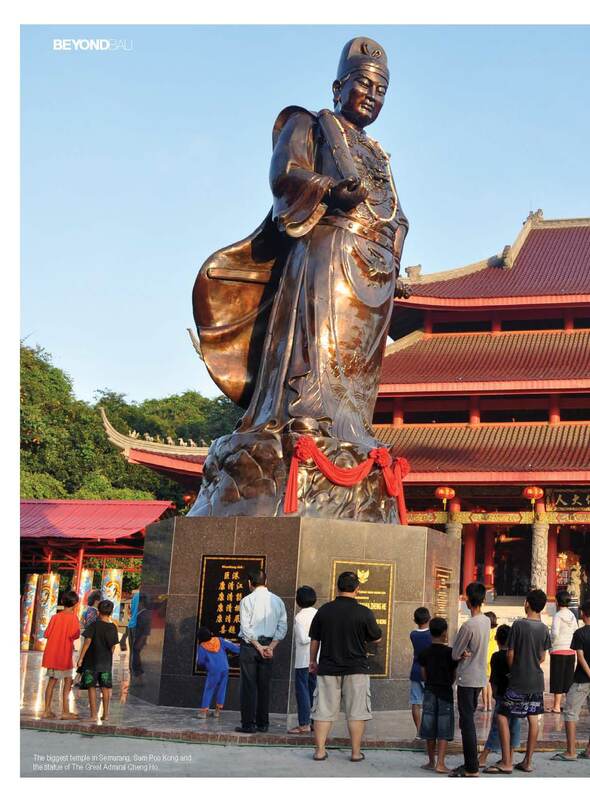 Admiral Cheng Ho played a significant part in bringing Chinese culture to Semarang. As Chinese immigrants in Semarang gathered in a particular area to live and do business, this area was eventually called Pecinan, or Chinatown. They built temples where they could fulfill their spiritual needs. During the regime of Soeharto, the religious activities were banned, not only in Semarang but also all over Indonesia, and they were afraid to participate in religious activities. But since the reformation regime took over in 1998, their practices are slowly reemerging. The Semawis market is located along Pecinan’s main road, which is used as a business center during the day. Just like any other Chinatown in this country, Semawis is also located in Semarang’s old town area, where historical buildings still survive. Some are well preserved; the Chinese descendants still live in some of these old buildings and open shops at the front side of their houses, while other buildings are empty and abandoned. the Semawis market is always full with people visiting the market to spend time during the weekend. The Semawis Market is also known as the largest culinary destination in Semarang, so is a haven for the foodies in the town. There are many choices of dishes available in this market including choices such as Lontong Cap Go Meh, steamboat, foods with pork, and many types of noodles including kweetiauw, the Chinese flat noodle. The Chinese believe that this noodle represents a long life, so no wonder you often find it in most of Oriental restaurants as well as in certain ceremonies and celebrations. You can also find traditional snacks such as Mooncakes, and Semarang’s most favorite, Lumpia. 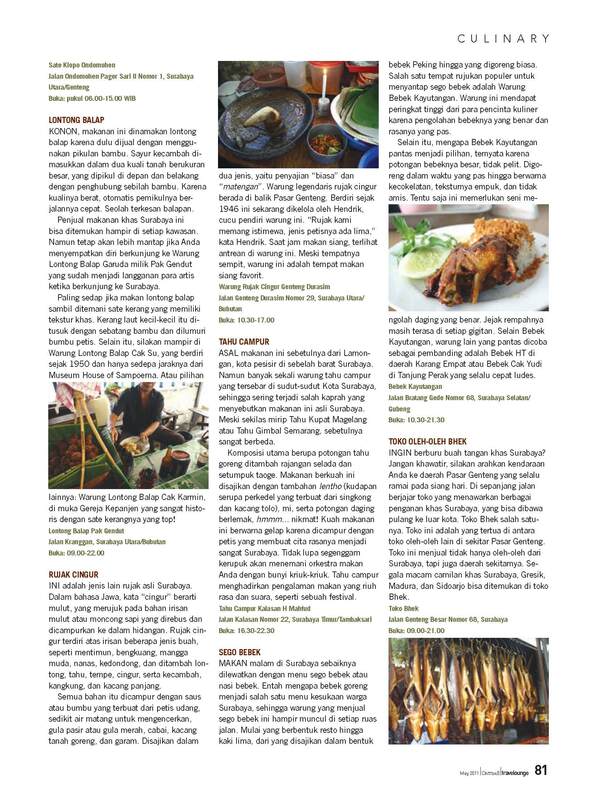 Not only offering Chinese traditional dishes, some other Indonesian favorites can be found in this market too. The food stalls sell soto ayam and pisang planet, as well as lalapan, traditional beverages such as wedang ronde, wedang kacang tanah and choices of traditional teas. One of unique food I tried was an interesting culinary item called mie jelly. This unique food is not noodle made from flour, but instead this is a one kind of dessert made of various flavored noodle-like jelly, so you need to use chopsticks to eat it. Not only a culinary destination, the Semawis market is also a place where you can find traditional Chinese accessories, including jade. You can find jade in bracelets, pendants and key holders, some of them are said to be imported from China. The Chinese have been using jade in jewelry for thousands of years now, and believe that this stone can bring calmness and happiness to whomever is wearing it. It can also be given as a gift or souvenir. The market also becomes a place to meet and gather with the family, where many of them sit in the karaoke booths in between the food stalls. Some of the visitors are the old Chinese people who sit in a group singing Chinese songs or spontaneously dancing in front of other visitors. The Chinese music makes the situation more Oriental. Don’t forget to go around the market and visit some of the Chinese temples within the neighborhood including the Tay Kak Sie temple located on Jalan Gang Lombok, Liok Hok Bio on Gang Pinggir, and few other interesting temples around. Those temples look very beautiful at night with the dim red light of their lanterns glowing at every corner. 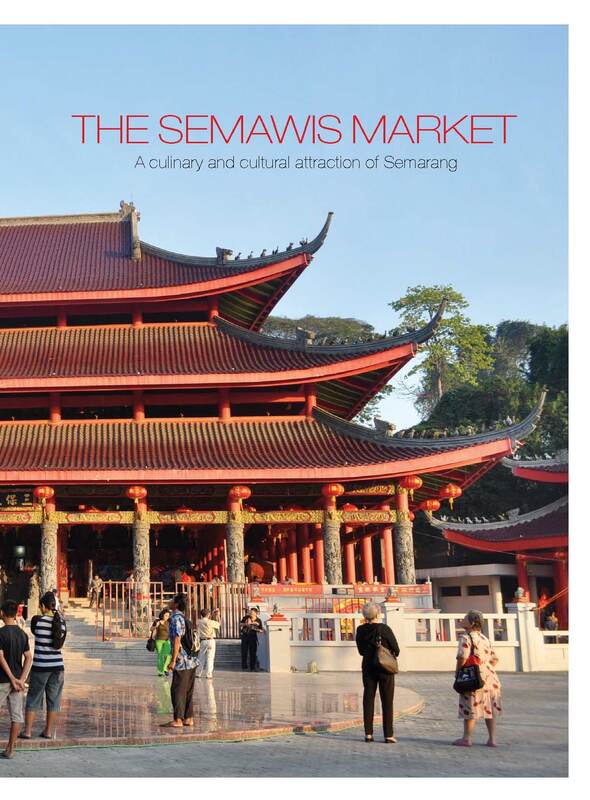 The Semawis market will become one of the busiest venues in Semarang on Chinese New Year, which falls on January 23. There will be many lanterns hanging everywhere as well as barongsai, potehi (wayang), and street opera performances that have become an annual program to celebrate the Chinese New Year. The temples will be full with people visiting to pray for a year full of prosperity. 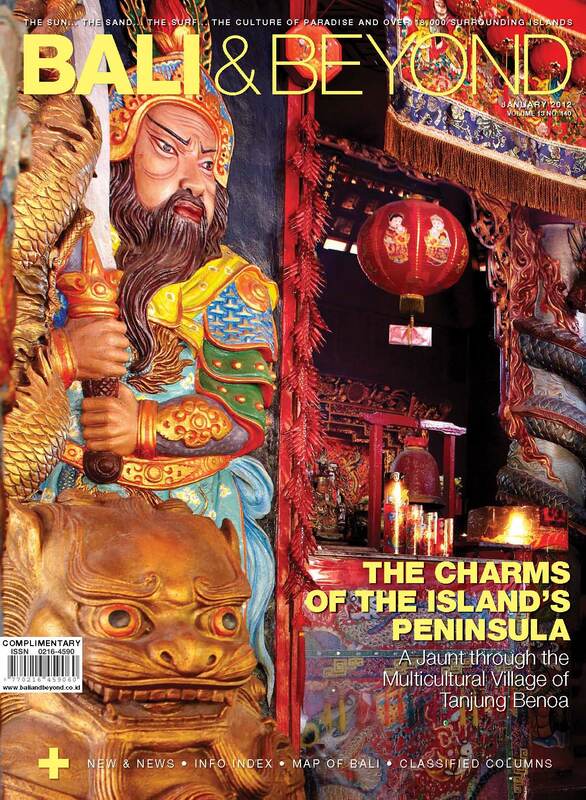 This feature has been published on Bali and Beyond Magazine, January issue. Putri have great attention to Chinese culture in Indonesia. 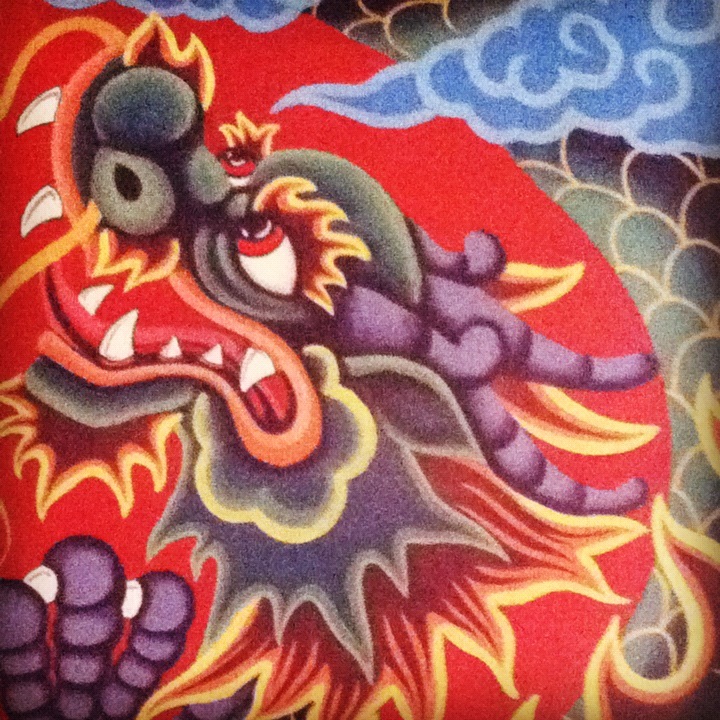 A few months ago she visited the old Chinatown in Lasem, a small town on the north coast of Java. Various old house with indies architecture to the legendary batik tulis of Lasem is easy excuse to fall in love with this small town. 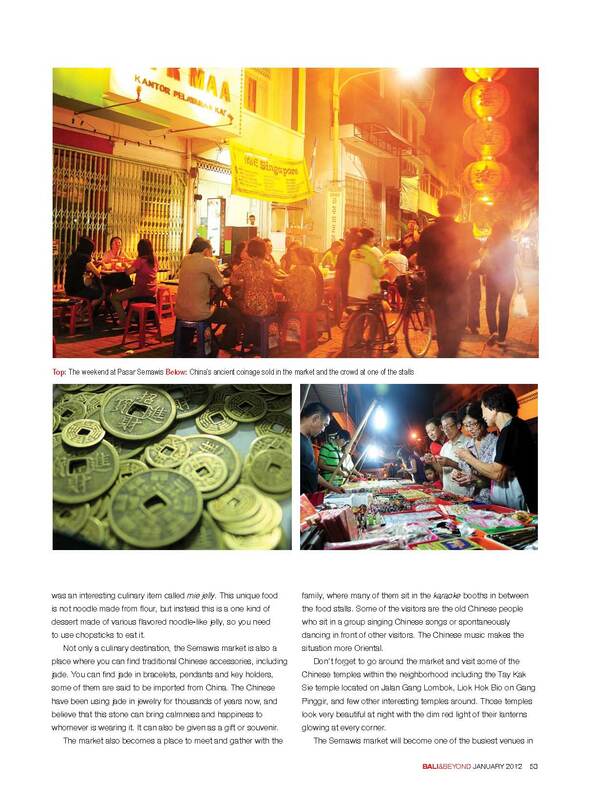 Putri wrote short feature for Garuda Inflight Magazine in January, commemorating the Chinese New Year celebrations this year. Visit Putri’s collection photos about Lasem here.